The Allegra Collection is the perfect award for honoring an environmentally conscious recipient. Choose from a Natural or Amber bamboo with contrasting lasered copy. 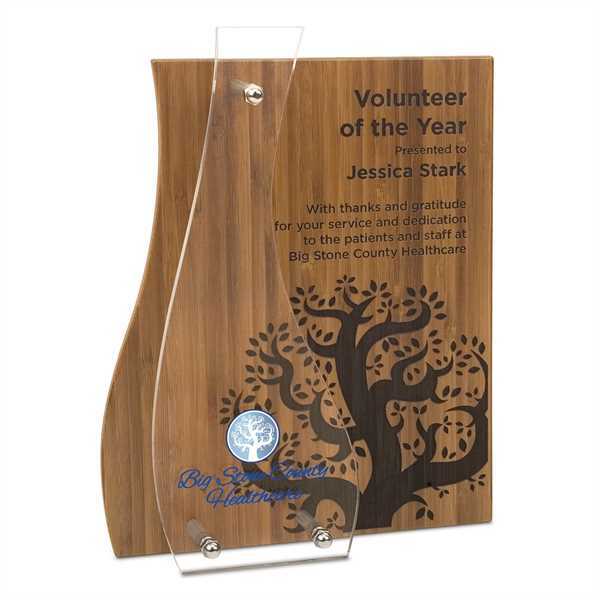 A clear, acrylic accent with full color print is secured to the surface of the bamboo. Size: 7 " x 9 "
Imprint Size:3.5" x 9", 3.5" x 7.5"